Prepare for the Arrival of the 12th Demon! A mysterious assassin from Jonathan Steel’s past surfaces at the worst time possible in the aftermath of the events of “The 13th Demon: Altar of the Spiral Eye”. Josh Knight decides to emulate his new role model, Jonathan Steel, and save his girlfriend from a vampire clan. Vivian D’Arbonne claims to have been married to the late Robert Ketrick and tries to take over his company and move up the corporate ladder of evil and assume the area once ruled over by the 13th demon. Rudolph Wulf, the 12th demon, thwarts her plans and has other tasks for Vivian. Soon, he will assemble a vast army of vampires to carry out his arcane plans and he needs a sacrifice to fulfill his dreams. Who will it be? What will happen to Josh Knight? Who is Raven and what does she know about Jonathan Steel’s past? Racing against the clock as a celestial alignment of evil takes place, Steel finds himself caught between his desire to know more about his past and saving the life of those he cares about. 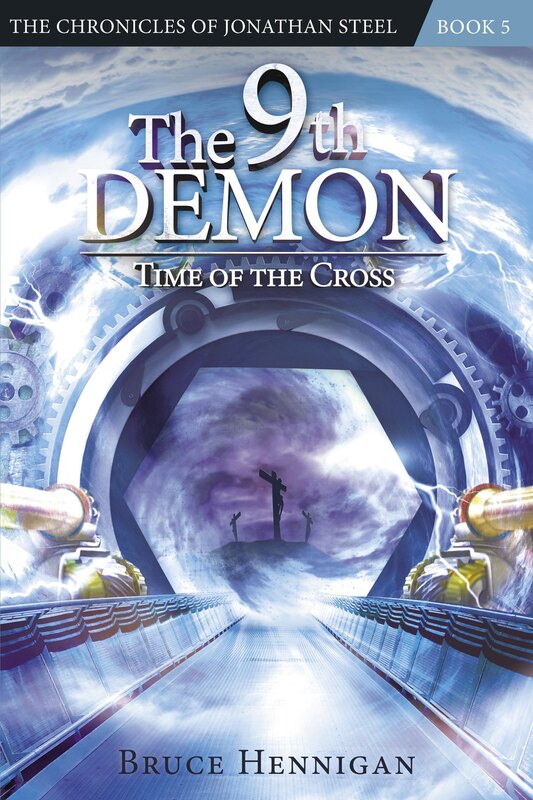 On October 16, 2012 you will discover “There is Power in the Blood!” with the release of “The 12th Demon: Mark of the Wolf Dragon”. 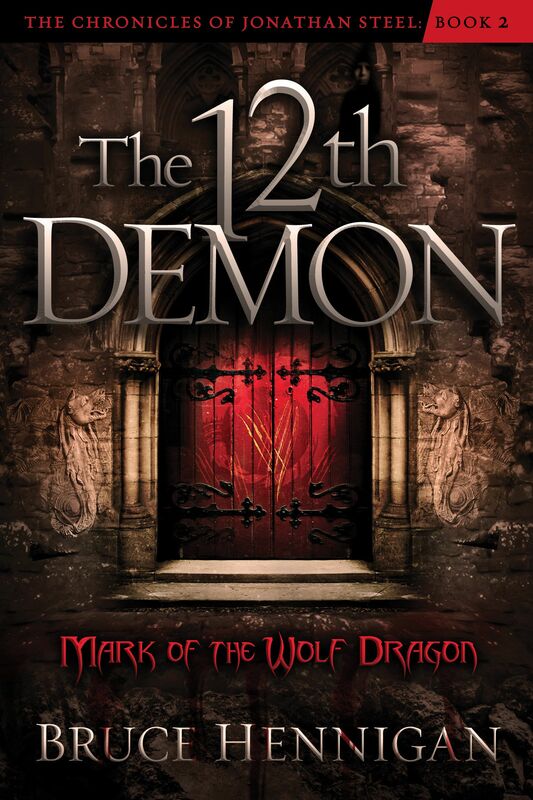 And today, I am unveiling for the first time the cover of “The 12th Demon: Mark of the Wolf Dragon”. Back in April, I was invited to speak on the intersection of apologetics and Christian fiction. I’ve been invited to present again in August at the Athanatos Ministry’s Writing Conference and I’ll bring you more information on that later. I will be changing up this presentation for that conference so I thought I’d post the Vimeo feed of my presentation. Summer Reading Reviews Just for You! And now, a plethora of book reviews and book review recaps. At the top of this list are some short reviews of some of my favorite books. So, for your summer reading pleasure, here are some books to pack up when going to the lake, to the beach, or to curl up with in a hammock on the back porch. At the bottom of this list are some of my favorite books and links to my lengthy reviews. Check them all out! Be warned. 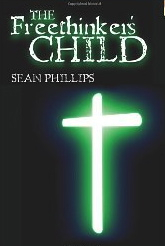 Sean tackles some sacred cow (which sometimes makes holy hamburger) in this chilling, fast paced novel about a small town dominated by a powerful individual who claims to be a Christian but is more than he seems. This is the key. He CLAIMS to be a Christian but something nefarious is going on and David Louther arrives in Carlsville and begins to unravel this growing mystery. It all leads to a climax of good versus evil and to give you too many details is to spoil the story. What the reader needs to know is that Sean tackles the “once saved, always saved” paradigm among some Christians and exposes what very well can account for rampant “hypocrisy” among Christians. Let’s face it. One of the most powerful accusations leveled against Christians is our hypocrisy. Sean asks the question, “If you are saved, then why isn’t your life any different?” Do we play the “get of out hell for free” card to cover a multitude of sins and a life that is detached from Christ? It is an interesting question and provides the foundation for a very interesting and gripping story. The book will definitely challenge your beliefs on this issue no matter which side you come down on and it will leave you thinking. If there is any minor criticism it is the occasional slowing down as Sean tackles some theological and apologetic issues but, frankly, you need those breaks to catch your breath! 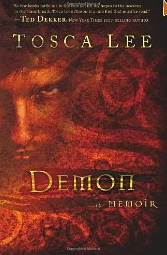 This book has been out for a while and was Tosca Lee’s debut novel. And, what a powerful debut it was! I read this book and could not put it down. The story is about Clay, a book editor recently divorced and struggling with his job. He is invited to a series of personal interviews with a demon named Lucian. Lucian appears in each interview in a different body and personality and this is part of the delight of the story. Clay finds himself increasingly obsessed with the demon’s story. The story begins with God and the rebellion of Lucifer and ends in the present times. Tosca Lee admitted in an online interview that she loves dance. You can tell when you immerse yourself in her lyrical, moving and hauntingly beautiful prose. Her description of the creation of the universe and the fall of the rebellious angels is one of the most incredible passages of prose I have ever read. Moving and filled with powerful imagery, I found myself reading it over and over again just to allow the images to bathe my mind with their beauty and the horror of eternal loss. The story does not disappoint as the Clay’s life begins to fall apart thanks to his obsession with the demon. The ending is disturbingly haunting and will leave you breathless for days. Don’t miss this incredible debut novel. I’ve been to Barton Springs in Austin and the water is COLD. It comes right up out of the ground and is somewhere in the 60s. In her debut novel. 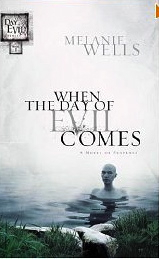 When the Day of Evil Comes, Melanie Wells starts out with a college psychology professor, Dylan Foster, meeting her friends at Barton Springs. But, she is not prepared to meet the strange, pale man with the scars on his back who stares at her relentlessly from the cold waters. Soon, the man is appearing with regularity in her life and she finds herself haunted by his presence and inexplicable spiritual events. She receives two strange gifts, one of which was buried with her mother! A student comes to her for counseling and she is soon accused of inappropriate behavior with the student. Her career begins to crumble and her life begins to fall apart as she is falsely accused by the boy’s parents. She follows the student back to his home town in the northern section of the United States only to discover something horrible has happened to him. Throughout, the pale man calling himself Peter Terry relentless follows her and shows up abruptly over and over again. Something about the secrets in the boy’s family’s life is tied in with this demonic presence and his desire to destroy her. A strange man wanders onto a desert highway and is picked up an elderly couple. He is taken to a local small town where his behavior is very “old school”. He doesn’t seem to understand modern technology and is very simple in his ideas and interactions. At the same time, strange messages begin appearing in the most odd places: at the end of an action movie; in the middle of an “I Love Lucy” episode; over the radio during a traffic jam. Where do these messages come from? Why are they seen and heard throughout the country? And, who is this strange man who seems to exude goodness and innocence in a world that is going to hell in a handbasket? 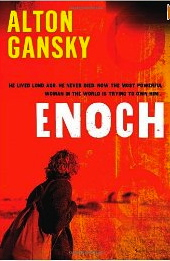 Pick up this exciting and intriguing book by Alton Gansky and find out if the real Enoch who “walked with God and didn’t die” has returned. He has a message to deliver and you don’t want to miss it! Do NOT read this book in the dark. Marc’s novel won the top prize for the best speculative fiction novel of 2011 and it is easy to see why. This story is one of the most unusual stories I have ever come across in “Christian” fiction. It is dark. It is disturbing. It is filled with horrific creatures. And it is MERSMERIZING! I could not put this book down as disturbing as it was. Because, it is powerfully redemptive. Marc Schooley takes us deep into a cave in the mountains of Eastern Europe at the start of World War II and tosses us into a mix of Nazi scientists, demonic forest creatures, and the world’s hottest oven. The main character, Sascha Konig is charged with developing the perfect oven for destroying anything placed within. The reader knows where this development is headed for the reader has the perspective of history. But, Konig has no idea of the purpose of the oven. 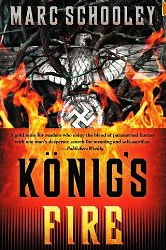 As the creeping horrors of the primeval forest relentlessly attack the occupants of the cave, sealing them, Konig develops a hotter and hotter fire in the oven. When he discovers the fires true purpose, he must make a decision. And, here is where the novel triumphs in its embrace of redemption. What does it profit a man if he gains the whole world but loses his soul? Konig and his two colleagues must decide between following the edicts of their Nazi commandant or following their conscience and doing what is right. To counter the commandant is to end up in the fire. Filled with unforgettable imagery and a growing sense of anxiety and urgency, this novel deserves the accolades and awards it garnered. Marc Schooley has done a masterful job of putting the reader right in the middle of a moral dilemma that challenges our every precept of human decency, “turning the other cheek”, and our need to merely survive. You will not soon forget your visit to Konig’s Fire! Susan Mitchell is an ordinary mother who wishes to find a little peace in her life. Her husband has set up an area in the attic as her “retreat”. Unfortunately, when she decides it is time to relax, she finds herself pulled through a “portal” into another world. In the world of Lyric, Susan discovers she is fated to become a guardian, a “restorer” and she must learn how to survive in this strange world. She is trained in the use of weapons and a sword and never really grows accustomed to her new role. But, the people of this land look up to her for triumph over a growing and deceptive evil. Sharon Hinck has written a richly detailed story about a land filled with good and evil; loyalty and betrayal; politics and deception. Her prose sings with details that fill your senses with joy. And, her characters are complex and compelling. To give away any more details is to spoil the joy of exploring this rich world. 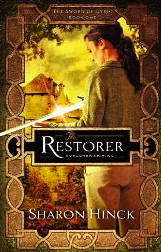 Join Susan as she finds her destiny as the Restorer! Oh, and don’t forget to add MY book to your list: The 13th Demon: Altar of the Spiral Eye. My father, who will turn 98 tomorrow, was in the ER twice in the past week. Both times, he was in congestive heart failure which means his lungs were full of fluid. I had been in the same ER the week before that with a possible heart attack (all was normal). But, I was getting tired of sitting around and WAITING for something to happen. Turns out my father had eaten two cans of potted meat and each can had 890 milligrams of sodium. His daily limit is 100! All that salt had thrown him in fluid overload. I had a trip planned last week with my daughter and two sisters to Disney World in Orlando to experience Star Wars Weekends. Both of my sisters decided to stay in town and take care of my father. I had promised my daughter a trip so just the two of us went. I am a veteran of Disney World and when I tell you that the parks were more crowded than I had ever seen them, that is saying a lot! Rides that no one would get on that usually had no line were upwards of 20 to 30 minutes wait time! I was WAITING again! To make matters worse, it was raining when we landed on Tuesday evening and it rained continuously until Sunday morning. The last morning in Animal Kingdom was hot and sunny and we only had two hours! But, the real WAIT for me was WAITING for yesterday to arrive. My daughter, Casey, is now 25 and she has suffered from epilepsy since age 8. Our last neurologist in our home town basically “fired” us and refused to take care of Casey anymore because he was getting out of the business of treating epilepsy. Problem is, in this town with four universities, a nursing school, and a medical school there were NO other neurologists treating adult epilepsy! I could not believe it. It took us four months to find someone and the closest neurologist was in New Orleans, a five hour drive away. So, Casey had an appointment with this new neurologist yesterday. My wife had to stay at home with her mother (who lives with us) so she didn’t get to experience all the magical WAITING in Disney World in a drenching deluge. She drove down to New Orleans Sunday evening and I had to drop my daughter off at a different airport to catch a nonstop flight to New Orleans from Orlando. My flight back to Shreveport was at a different airport. Watching my daughter, even at the age of 25, walk away from the car into the huge Orlando International Airport alone was one of the hardest things I had to do. Knowing she faced a new doctor the next day and a possible barrage of tests didn’t make it any easier. I was a basket case. I was WAITING again to make sure her flight made it; WAITING again to hear from my wife that she had picked Casey up at the airport. Let’s face it. In today’s world a single young woman traveling alone is ALWAYS at risk! I arrived at home Sunday evening and my wife’s sister had returned from her vacation to come and stay at our house to take care of her mother. My wife called me later than I wanted her to and told me all was well. But, Casey had a major breakdown once she picked her up at the airport and the two of them spent an hour crying. They were WAITING as well for the next day. Let me make it plainer. My daughter’s life is rough. She has these “auras” off and on during the day where her mouth will suddenly stop working and she can’t say what is in her brain. Sometimes this lasts for a minute; sometimes for 30 minutes. She has these flashes of light and feelings of “electricity” running through her brain. She has always suffered from the social stigma of being someone with “seizures” and her time in high school was mostly horrific. She worked her tail off just to graduate and every time she gets a break, it seems someone comes along and kicks her in the gut. But, she is a trooper and one of the strongest people I know. I just want my daughter to have a chance at a normal life. Is that too much to ask? It seems my entire family is WAITING. My wife tells me over the phone that she had a breakthrough this past week. She was worrying and fretting over Casey and the new doctor. She and I had made the realization together that we had done everything possible a parent could do to help our child. Her breakthrough was in realizing that Casey is God’s child, too. And, that God is in control and loves her more than we can ever love her. When she made that breakthrough, she found peace. I was bitter. I had not had this kind of breakthrough. I was still mad and upset and, frankly, WAITING for God to do SOMETHING to help Casey! I did not have peace. At that moment, another call came in and it was my co-author and one of my best friends in the world, Mark Sutton. Mark was our former pastor and is now retired in Orlando working with Haitians. I had seen him and his wife Donna just the Friday night before while in Orlando. I took his call and told my wife I’d call her right back. What did Mark have to say? Turns out our agent has some inside line to a possible “sequel” book to our “Conquering Depression”. Mark wanted to talk to me briefly about some work we needed to do on the concept because he was going out of the country the next day for his anniversary. I told him I was “discomboobilated” about the whole thing because I couldn’t think past the next day. I almost started crying. Here, in less than two minutes, God had told me twice what I needed to hear. I am NOT in control. That is why I am always WAITING. God is in control and I needed to give up my anxiety to God and let him give me peace. Okay God, I get it! Fast forward to Monday and a very hectic day back at work and once again WAITING to hear from my wife. She gives me a call at 3 PM that afternoon. And, she drops me a bombshell. This new neurologist is not 100% certain, but he believes that Casey doesn’t have epilepsy but has been suffering from migraines! I couldn’t believe my ears! Migraines? Really? We’ve been treating my daughter for years for epilepsy and all the time she has had migraines? In fact, her medicine for seizures can cause migraines!!!! So, today, I am once again WAITING for the neurologist to call me and to look at all of Casey’s EEGs. But, this man is more knowledgeable than any doctor she has seen. He specializes in adult epilepsy. I am hoping and praying he is right. Because if he is, then Casey can get off of her epilepsy medicine and have a normal life. We can all stop WAITING. Today, I am pausing to thank God. He is in control. Man has failed time and time again especially with regard to my daughter. The circumstances that led us to this doctor are phenomenal and clearly impossible without the intervening hand of God. It took years, but we may finally have an answer and an answered prayer. The wind whispered secrets down the cold, dark alleyway and Tasha listened. The secrets came from the lips of angels. “Listen, Suzie, cain’t you hear the angels talking?” Tasha whispered. Suzie glanced over her shoulder at the menacing maw of the alleyway. Its dim eyes glowed in the mist and its jaws paused to close. She stepped out onto the open street into the arms of perdition. The man jostled them and his smell encircled them in warm, redolent odor. His toothless grin shown through a cloud of gagging mist. Suzie pulled away from him with her hand gripped on Tasha’s. They ran. They bumped down the street from body to body, bouncing against the grim reminders of humanity caught between divinity and condemnation. Suzie pulled them into an alcove. A dirty glass window was behind them plastered with obscenities. “What we gonna do, Suzie?” Tasha sniffled. Suzie’s eyes drifted upward, above the misted detritus of humanity shuffling down the street, above the crumbling bricks and mortar of a dream gone bad to the clear, star filled night. The space station arced in perfect serenity. She remembered the dead dreams of a tiny, idealistic girl, eyes drawn to the possibilities of worlds virgin with pristine future. Dreams that had died in a crack haze of insanity and evil. “Tasha! Suzie!” A hoarse voice echoed down the street. They pulled back into the darkness of the alcove. Her feet were paralyzed with fear and suddenly the promising stars were eclipsed by chipped paint, crumbling brick, and misty haze. A hulking figure shadowed the sidewalk and Toby stepped out of the mist. His yellow eyes glowed with drug fever as he scanned the streets until they fell on the girls. “There you heathens are. Why you run away from Toby?” He leaned forward and his rancid breath filled the alcove. “I got some candy for you.” His hands were behind his back. Light cracked somewhere inside Suzie’s mind; star light, hope light, angel light and through the cloying mist she watched a star move across the cityscape, promising hope and redemption. She kicked out viciously and drove into her foot all the anger and desperation of a world that had lost its promise, lost its heart. Toby collapsed in sudden pain and writhed on the ground. Suzie jerked Tasha behind her and they ran over Toby’s writhing body out into the mist. Figures began to materialize out of the mist, down the street, across the street. Somewhere behind them, Toby’s angry cursing bounced from brick walls. Tash stumbled and Suzie lost her. 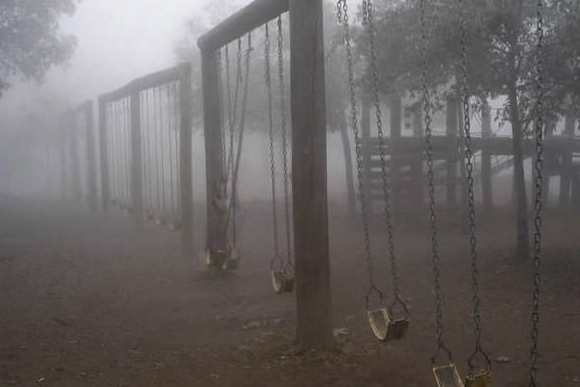 The tiny girl disappeared into the mist. She slid to a stop and ran back along a chain link fence. No Tasha. Toby was coming. A gap in the chain link fence appeared from the mist. A tiny shred of fabric from Tasha’s coat was caught on the rusted metal. Suzie squeezed through the gap and pulled it back together. Furiously she knitted the rusted, twisted metal edges together. She backed away into the mist and prayed that Tasha was somewhere within the fence. Toby’s hulking figure rocketed by them, mist swirling behind him. She held her breath. Toby didn’t come back. Suzie stood suspended in the low lying haze with her breath coming quickly and her heart racing. She calmed and paused to listen. 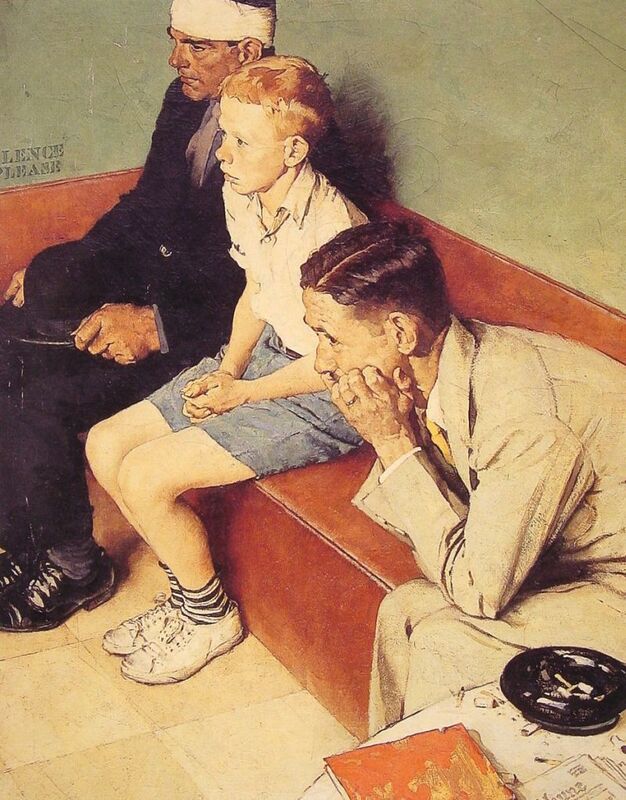 To listen for an angel. A creaking sounded somewhere behind her. She stepped out of the mist into a clearing. A playground surrounded her. It was long abandoned filled with rusted metal frameworks like skeletons of dead beasts, dead hopes. Light gushed around her, brighter than noonday sun, burning away the mist in a sudden gulp of warm air. A giggle echoed in the air and darkness returned. The swing tumbled down and was empty and stilled. Suzie rushed to the empty swing. “Tash? Tash?” Her eyes darted around the playground. It was empty and barren. She blinked away the burning aftermath of light as her heart raced. “No! Don’t leave me, too. Tasha, don’t leave me!” Tears clouded her vision. Behind her, out in the desperate street she heard metal screech. Toby had found her. She glanced up at the star pulsing with hope and promise in the night; the star holding out the welcoming hand of a future and a hope. She climbed into the swing. Lights in the Sky and Little Green Aliens — A Contest! The night sky was black velvet sprinkled with a million tiny diamonds. It was mid June and the air was thick with the fragrance of honeysuckle. Fireflies blinked lazily in the darkness. Crickets and frogs sang their choral arrangement to the heavens. I was two hundred feet from the warm, yellow pool of light at the back door of my house, wrapped in inky darkness. At age ten, I was definitely creeped out by the dark, especially the kind of dark we had in the country. I could barely see my hands in front of my face as I emptied the trash into our trash bin. The crickets stopped. The frogs fell silent. The night smothered me in deafening humidity and above me, the stars were eclipsed by something blacker than black; darker than dark moving above the tree limbs. I gasped for breath, paralyzed with fear as the thing moved silently across the heavens; heavy and ominous. My hair stood on end and I could hardly breath. I dropped the trash can and fumbled in my pocket for the matches I had brought to burn the trash. The small box of matches exploded under my clumsy efforts and matches showered away into darkness. One was left barely hanging in the box. I grabbed it and stroked it against the side of the box. The blue sparks were swallowed by the night. Finally, the match burst into flame; brighter than the sun pushing the night away. I dropped it into paper wadded in the trash bin and the trash caught fire, light spilling all over me. I looked up. 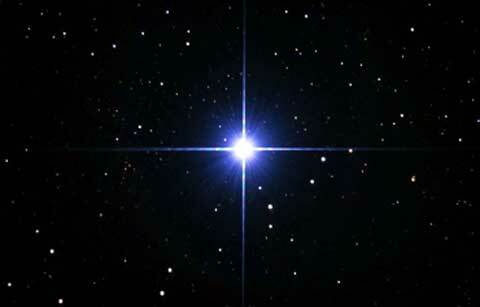 The stars were back. The crickets and frogs tuned up slowly and returned to their symphony. I ran to the back door, into the porch light, into the house and back to sanity. I don’t know what I saw that night. For years, I tried to reason my way around the object that hovered above me. I knew that our house, although far away in the country often had airplanes fly over from the nearby Barksdale Air Force Base. Maybe it was an experimental aircraft. Maybe it was a weather balloon. All I know is it was an unidentified flying object; a UFO. I am currently writing the fourth book in the Jonathan Steel Chronicles. 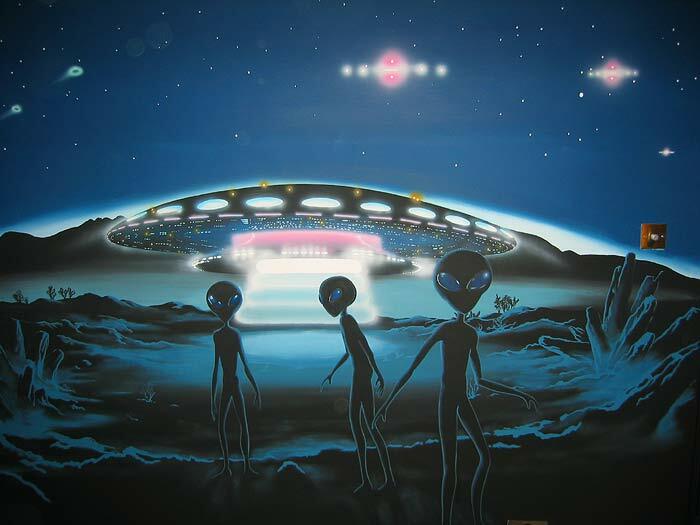 It will be about UFOs, aliens, and alien abduction. 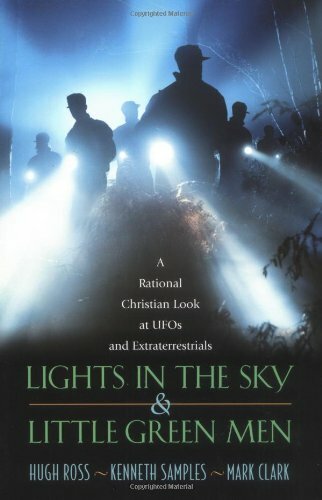 Based on the information in one of my favorite books, “Lights in the Sky and Little Green Men” I hope to explore the mythology of UFOs and E.T.s. I am announcing a special contest beginning today and ending in two weeks. I want to hear your stories. 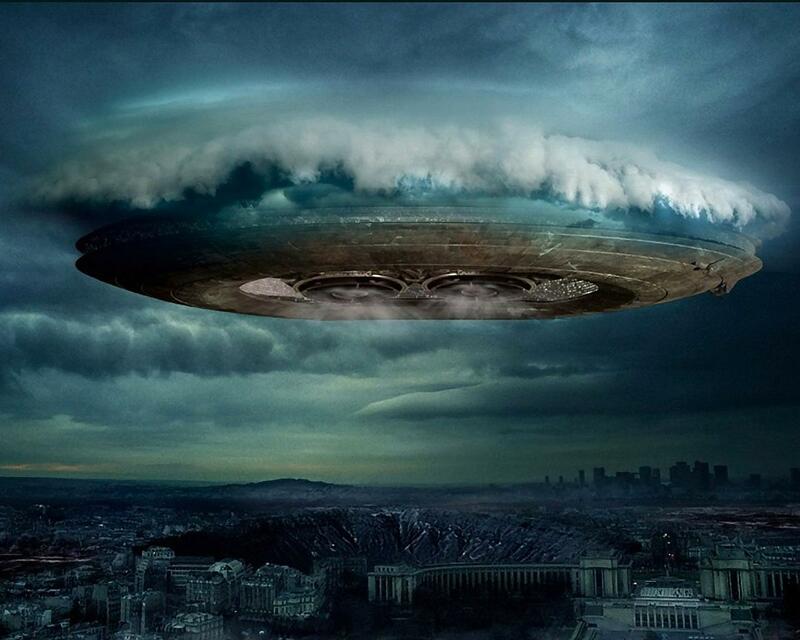 Have you ever seen a UFO? Have you ever had a “close encounter”? For the next two weeks, I would like for you to send me your story. Include your name and address and the top ten entries, as judged by me, will receive an autographed copy of “The 13th Demon: Altar of the Spiral Eye”. I will publish the top ten stories in this blog in the month of July so look to the night sky and tell me about your special “encounter” with a UFO!!!! Send your stories via the contact tab. Each weekend, I will post a short, short piece. This weekend comes courtesy of storypraxis.com and today’s prompt for writing “wreckage”. “No life signs, sir.” I waved my sensor screen at my Captain. The salvage team consisted of five soldiers in gray and black hazard gear. As they moved into the collapsed building, I watched their beams swing back and forth in the darkness. 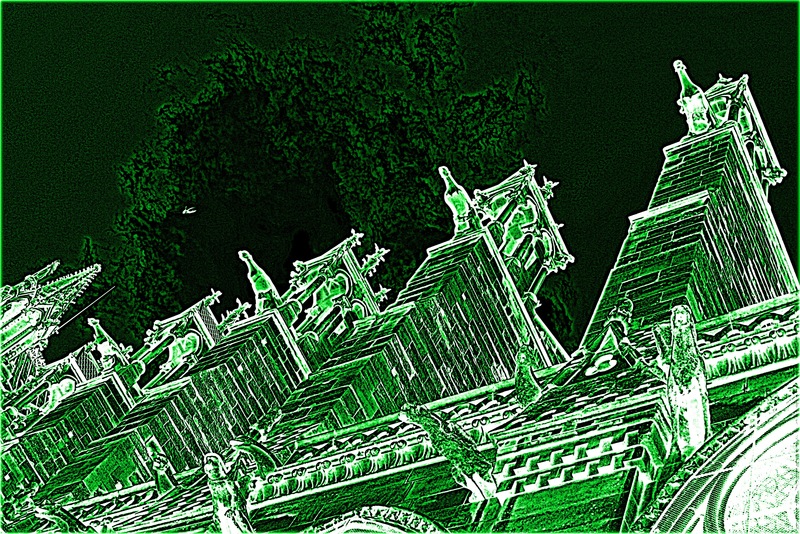 Here and there, the beams played over the broken faces of icons, statues, and gargoyles. “What do you think, Beal?” Scarn asked as he checked his blaster. “About our mission.” Captain Scarn glared at me and even through his partially opaque helmet I could see the fury in his eyes. “Sir, I’m just a soldier. I do what I am told.” I averted my gaze. That glare made me uncomfortable. Scarn was ruthless. I gazed over the debris of Notre Dame Cathedral. This had been my home. This had been my abode for a thousand years. This had been my purpose. And, now it lay broken and ruined beneath the Captain’s artillery. All destroyed in the name of Intolerance. Green pinpoints of light appeared at the edge of the screen and Scarn jerked his helmet in my direction. I turned toward him and let the skin slide away from my face; felt the bones and muscles shift into stone and mortar and brick and vengeance. My snout and horns burst through my helmet and it fell away in pieces. I tossed the motion grid aside and my claws tore through the gloves. Scarn fumbled for his blaster and I swiped it away with one quick motion. “We are the protectors, Scarn. We are the reason they can turn the other cheek. Because we don’t have to.” I slammed my clawed hand through his helmet and crushed his skull in one fluid movement. My brother gargoyles appeared behind me. Scarn’s body collapsed onto the broken stones of Notre Dame Cathedral and a bit of prismed moonlight glimmered through the remnants of the stained glass to paint his broken face in reds and blues.